The 1999-built Boeing 757-28A c/n 28845 l/n 858 was built on behalf of ILFC and flew first as N1787B on 11 March 1999. The Boeing was registered G-FCLF as chartered with Thomas Cook Airlines UK Ltd., Manchester, on 24 March 1999. 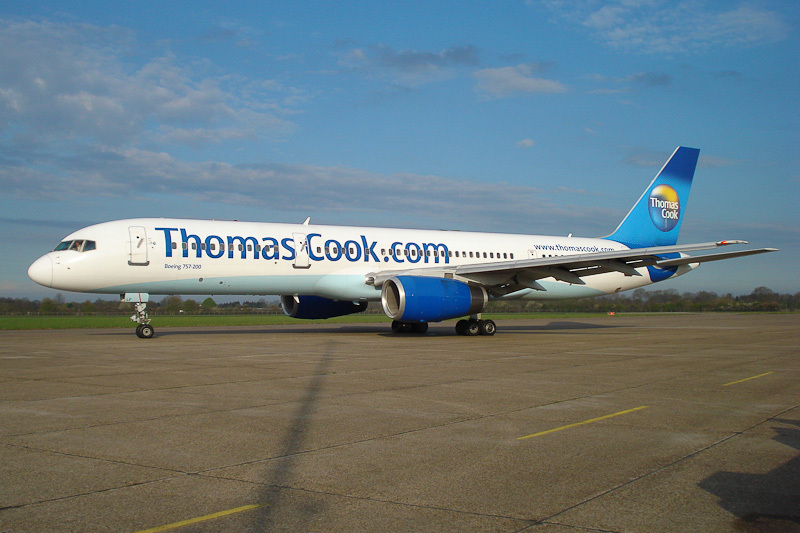 Registered holder name changed to Thomas Cook Airlines Ltd, Manchester, on 21 December 2007. Registration G-FCLF was cancelled on 29 November 2010, and the Boeing was subleased to Air Canada Jazz as C-GJZT. On 19 April 2011, registration G-FCLF was restored and the Boeing was registered as chartered with Thomas Cook Airlines Ltd, Manchester. Boeing 757 G-FCLF was seen at Groningen Airport Eelde on a passengers charter to Valencia in Spain on 20 April 2012.